On Tuesday night, eight numbered ping pong balls placed in the coveted Cup decided the opponents for the eight teams who will compete in OHL Cup powered by Under Armour Wild Card Play-In Games. Four GTHL teams will compete in each of the four games being played on Tuesday, March 14 at Scotiabank Pond. Winners of each game will go on to compete in the OHL Cup round-robin.. 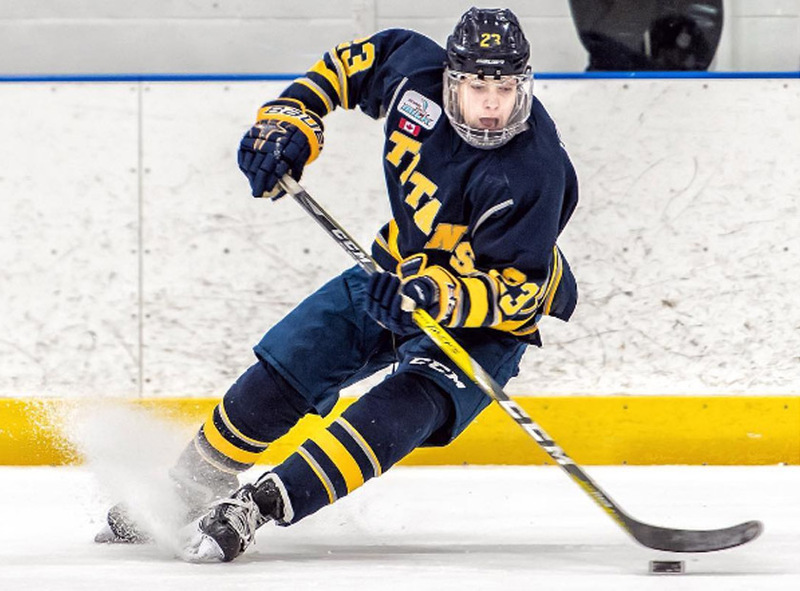 The Mississauga Reps couldn’t seem to escape the upset plague that ravaged through the first round of the Scotiabank GTHL Playoffs. Finishing second in the regular season, the Reps were eliminated by the seventh-seeded Vaughan Kings in the first round. The Reps, however, were able to bounce back, defeating the Mississauga Senators in their Wild-Card Play-In Series. Their 4-3 series win earned them a Wild-Card Play-In Game. The Hurricanes played their way to a Wild-Card Play-In Game after defeating Guelph Jr. Gryphons in the SCTA consolation game. The Gryphons were ranked first in Group B, while the Hurricanes placed one point behind them. Finishing the regular season as the eighth-seeded team in the SCTA, the Grey-Bruce Highlanders managed to defy the odds, defeating the first place Hamilton Jr. Bulldogs on their way to a second place finish in their group. 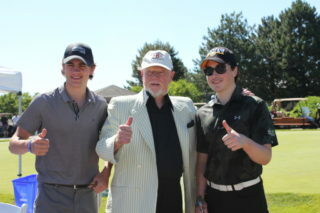 Continuing on a tear across the SCTA, the Highlanders swept Group B champion, the Guelph Jr. Gryphons. 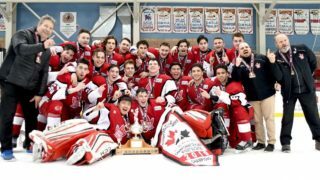 The 6-0 series win earned the Highlanders a spot as one of the five teams competing in the OMHA Championships. 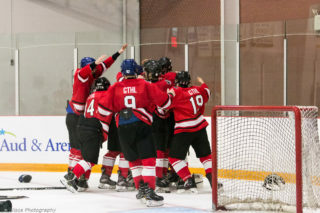 It took seven games to decide if the Toronto Titans would be granted a Wild Card Play-In Game, but their dramatic game seven win over the Toronto Young Nationals proved they could get the job done. The Titans were eliminated in their first round playoff series after finishing in sixth in regular season standings. 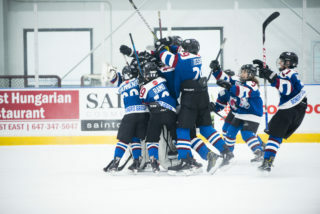 Their opponents, the Kitchener Jr.Rangers, will have to prove they’re worthy of competing in tournament play after losing to the Cambridge Hawks in a four-point semi-final series. The Rangers finished the regular season two points up on the Hawks. 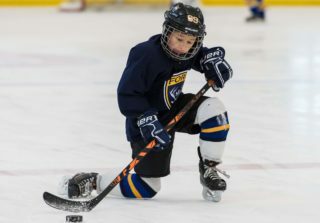 Much like the Nats of the GTHL, the York-Simcoe Express of the ETA were faced with a disappointing first-round playoff loss against the Quinte Red Devils after finishing first in their division. Despite last year’s Express team winning the OHL Cup, the 2017 Express will have to work a little harder if they want to live up to their predecessors. 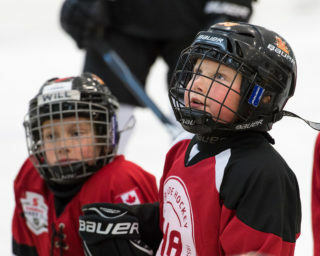 Their Play-In opponent, the Mississauga Senators, are coming off a similar series upset after losing their Play-In Series to the Mississauga Reps. Both the Sens and Express were hand selected to participate in a Wild Card Play-In Game. Click here for a tournament schedule.